The Nano Hotspot is supplied assembled and tested before sending, it allows to have a digital access point MMDVM like: D-Star, DMR, C4FM, P25, NXDN & POCSAG for UHF 430-440Mhz amateur radio band. Works with the PiStar software for Linux. This hotspot mmdvm is mounted ready to operate, it will remain to do the settings of the hotspot and software configuration. The configuration of the pi-sar software and the hotspot can be made from a web browser under Windows, Mac or Linux and does not require knowledge in Linux to be configured and used. Comes complete with: 1 Nano hotspot PCB mmdvm with 433Mhz ceramic welded antenna, 1 3D printing box (blue or black), 1 fan, 1 NanoPi NEO 512M with WIFI, 1 USB cable, 1 2.4cm OLED screen and SD card 8GB with mounted pi-star image for Linux. Description: The Nano Hotspot is supplied assembled and tested before sending , it allows to have a digital access point MMDVM like: D-Star, DMR, C4FM, P25, NXDN & POCSAG for UHF 430-440Mhz amateur radio band . Works with the PiStar software for Linux. This hotspot mmdvm is mounted ready to operate, it will remain to do the settings of the hotspot and software configuration. The configuration of the pi-sar software and the hotspot can be made from a web browser under Windows, Mac or Linux and does not require knowledge in Linux to be configured and used. 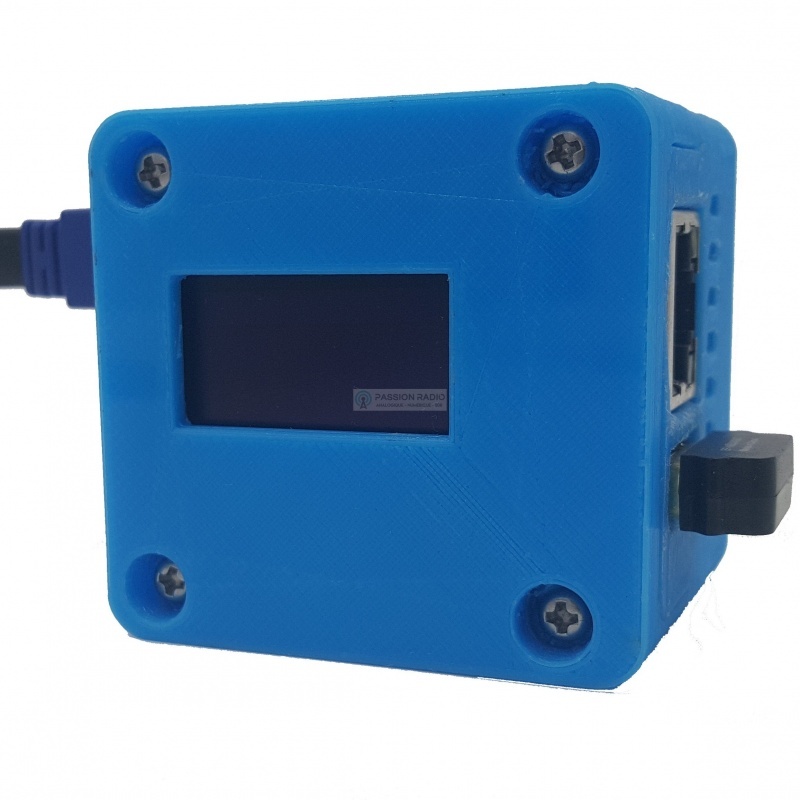 Comes complete with: 1 Nano hotspot PCB mmdvm with 433Mhz ceramic welded antenna, 1 3D printing box (blue or black), 1 fan, 1 NanoPi NEO 512M with WIFI, 1 USB cable, 1 2.4cm OLED screen and SD card 8GB with mounted pi-star image for Linux.